The last several years have seen a surge in young photographers experimenting with process-based work, though few artists immerse themselves as deeply in the nuances — not to mention the volatile chemical reactions — of these labor-intensive processes as Brittany Nelson. She dismantles them, reinvigorates them, and cooks up new recipes to create beautiful gestural abstractions. Nelson thinks of what she does as a critique, in part because she intentionally “misuses” the materials and processes, destroying or changing the metallic compounds in order to create the print. Her approach is not unlike that of Japanese photographer Daisuke Yokota, who creates trippy, colorful abstractions by developing film in intentionally incorrect ways. This allows light to leak in during development and uses acetic acid and boiling water to manipulate the emulsion. 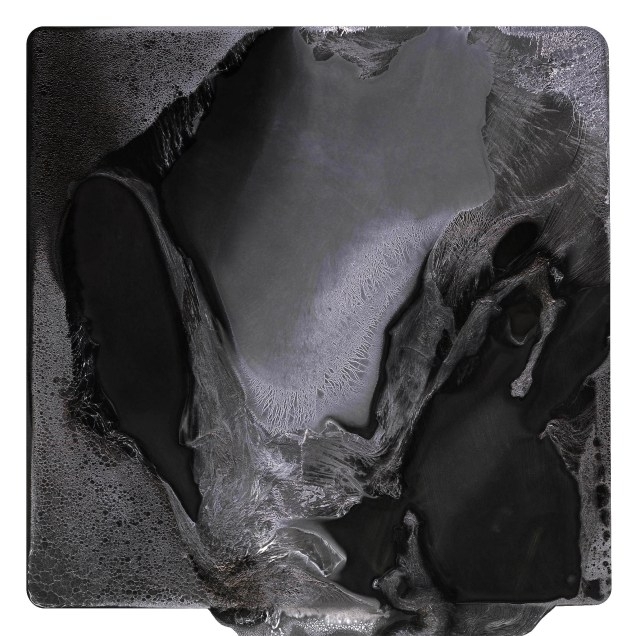 In Nelson’s case, the resulting images resemble the surface of a planet, or ice on a windowpane. The largest piece in the show (72 by 72 inches) is imposingly dark, patterned with crystalline threads. 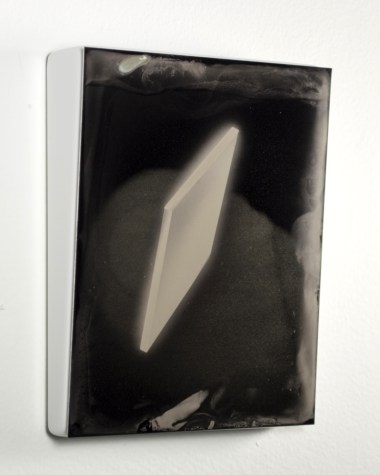 In several groupings of smaller works in the gallery, Nelson has experimented with the tintype process, exposing Photoshop screen captures to the surface of the tintype, which becomes a reflective, metallic surface. Versed in digital tools as well as 19th-century processes, Nelson uses the 3D tool in Photoshop to create the floating, slablike images in these works. 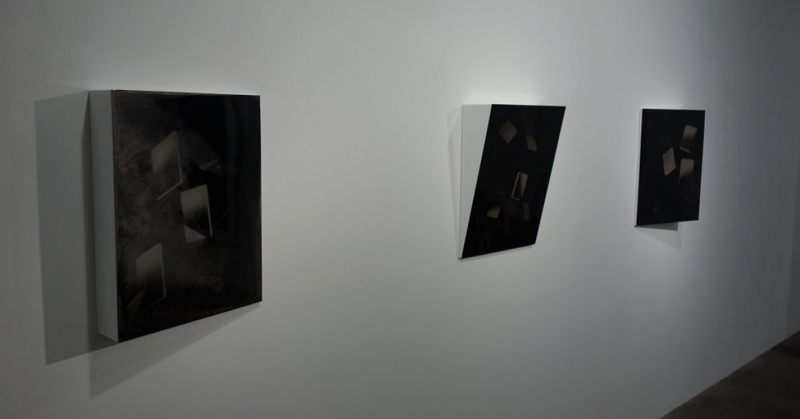 They are exhibited at a slight angle away from the wall, highlighting their mirrorlike properties. 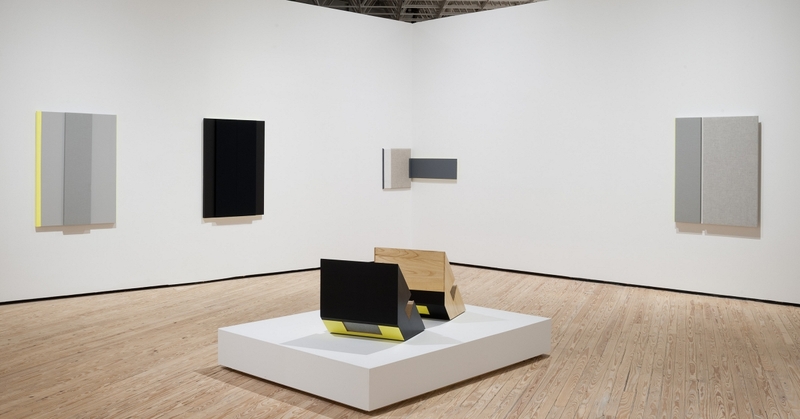 Nelson may be reacting against the apparent ease and immediacy of contemporary digital technology, but her works aren’t old-fashioned or precious. They are informed as much by her playfully experimental approach as they are by photo history. 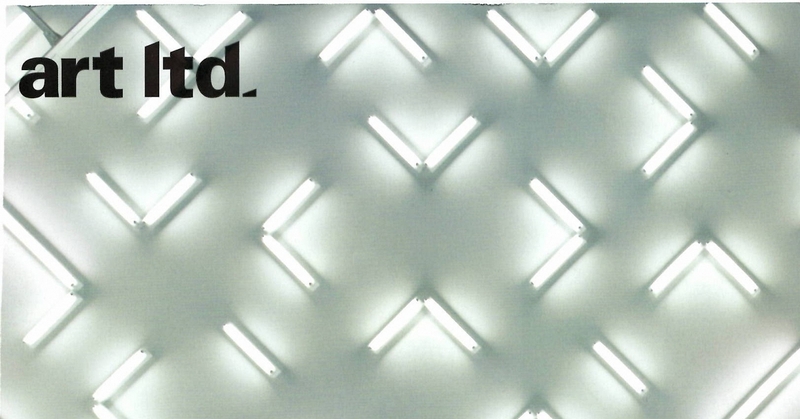 Jean Dykstra is the managing editor of Photograph magazine in New York.